4: Was It a Miraculous Healing? Chapter 9: Who Was Eve? Chapter 18: Did Mary Provide Protection? 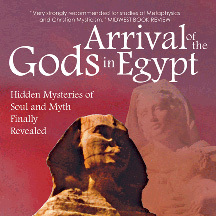 Read more about Arrival of the Gods in Egypt. CarolChapman is an author and inspirational speaker. She speaks at weekend retreats,day-long events, and half-day programs. Her seminars are not onlyinformative and transformational but also fun and entertaining. They ofteninclude participatory workshops and visual aids, such as videos andphotographs. She specializes in dream interpretation, reincarnation, andAtlantis, and is the author of When WeWere Gods, Arrival of the Gods in Egypt, and Have Your Heart’s Desire.